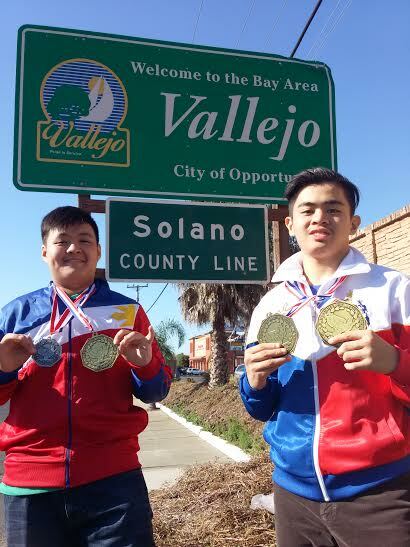 In April of 2016 an envoy of wrestlers and support staff traveled over 13 hours by air from Manila, a journey that took close to 24 hours with connections, to train and subsequently compete in the 19th Annual USGWA/USBWA National Championships in American Canyon. Wrestlers Royce Tiu and Anthony Arcilla Jr. were accompanied by group leader Sir Albert Balde, Coaches Jimmy Angana & Miguel Plana and Team Mom Michelle Arcilla. The group which was headquartered in Vallejo received training from roughly a half dozen coaches, while also embarking on educational and historical tours and immersing themselves in cultural experiences in Vallejo's vastly diverse community. Competitively the duo scored 3 golds and 1 silver at the Nationals, competing in the Ambassador's Freestlye Division, while also taking their 1st shot at American Folkstyle. Most importantly they were able to experience Springstowne Wildcat Wrestling's E.L.E. Culture and from this experience hope to return to Vallejo to further their bond with our community! Special thanks to the scores of individuals who helped make their visit a memorable one!